Competing teams of 2-4 spies are sent on an exciting adventure full of brain-teasing puzzles, tricky clues, hidden messages, mysterious agents, and more. You'll need to combine teamwork and intellect if you want to be the first to complete your mission. 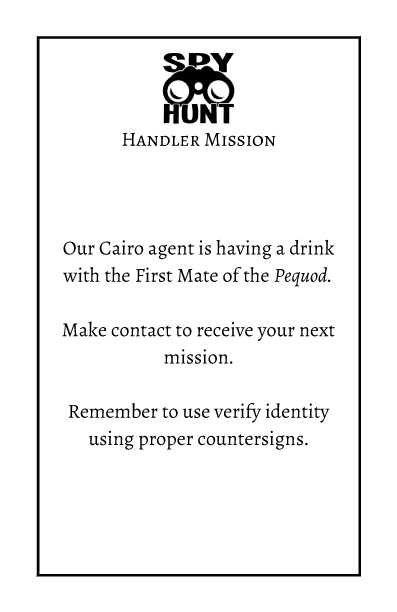 At the beginning of the Hunt teams will receive a Dossier full of clues, useful tools, and intelligence briefs. 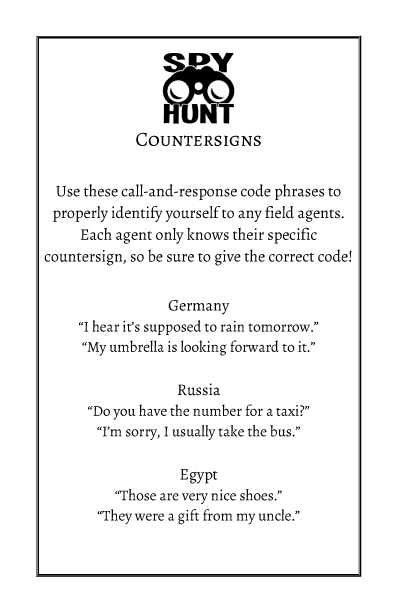 Clues will lead to a specific location, where teams must either solve a puzzle, answer a question about the location, or make contact with an agent. 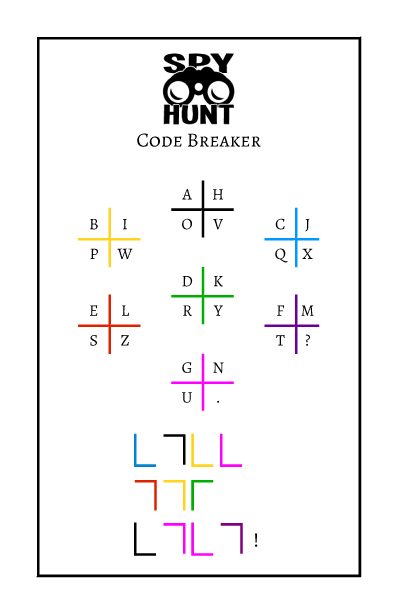 Every task you complete, every code you crack, and every puzzle you solve gets you one step closer to your target. Each race has a different story line with unique clues and missions, making each one a new adventure. 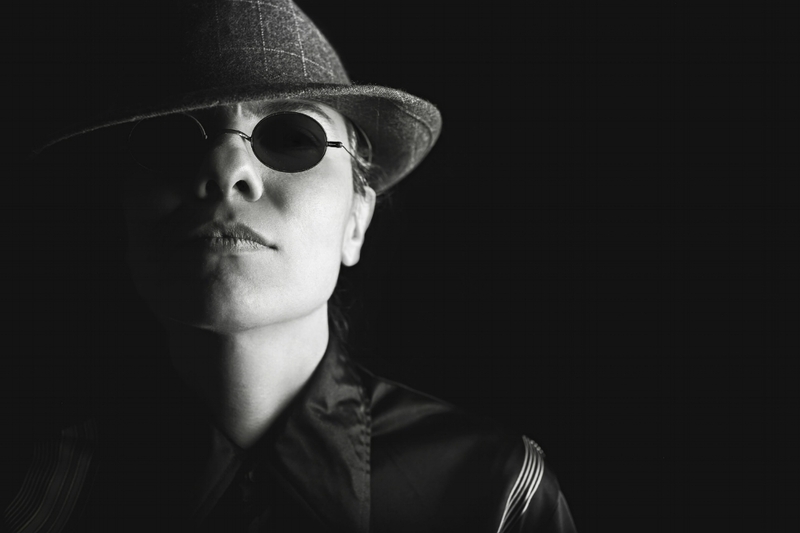 Channel your inner secret agent in the race to find the spy - bring your creativity, an appetite for fun and your best sleuthing skills! CALENDAR - 2018 dates coming soon! Agent X has stolen some very sensitive documents that reveal a network of spies. We have intel Agent X is trying to escape through one of Orange County's most vibrant historical areas after selling the documents. Can you work with Allied agents to track down and identify the culprit and retrieve the stolen documents before our spy ring is exposed? One of our informants has gone off the grid with enemy agents hot on the trail. If you can provide new identification documents, the informant will turn over vital information. Travel to their last known location and trace their footsteps, but watch your back. They could be alive or dead... Or lying in wait. Our top agent is finally retiring after years of service, and you're going to deliver his new identity and severance package. He's set a series of complex tasks and clues to test your ability to take his place as top agent. Good luck finding him, though - only the wiliest spies get old enough to retire. Our work has finally come to fruition: the government of one of our oldest enemies has collapsed into chaos, stranding their ambassador here. He has no backup and no hope of rescue, but he does have decades of state secrets to buy his freedom. We aren't the only ones with his location, so bring him in before anyone else can. A brilliant computer scientist has been chemically brainwashed into creating a Doomsday Virus that will wipe out all computers within hours of being unleashed. It is up to you to find the antidote, give it to the computer scientist and deactivate the Doomsday Virus. Time isn't on our side! These are some of the types of clues you can expect to run into while carrying out your mission. Don't worry if they don't make sense - they're only examples. Generally your clues and missions will relate to your physical surroundings during the Hunt. Spy Hunt was created by Carmella Galli, Dustin Feldt, and John Feldt to help raise money and awareness for the charitable causes. We wanted to use our love of games, puzzles and spy movies to bring people together for a day of fun, adventure, and friendly competition to support causes that are near and dear to our hearts. This is our second year, and we are continuing to grow and expand. Thank you to all those who have joined us on this adventure! 100% of the profits are donated to charitable organizations in the name of family members. In 2016 we raised $1600 for the Crohn's and Colitis Foundation through Spy Hunt and obtained matching donations to bring the total to over $4,000 . Note: This year our donations will are going to DirectRelief's Hurricane Maria program, which is providing medical support to those impacted by this devastating hurricane. If you have any questions, suggestions, concerns, or just want to say hi, let us know by filling out the form below. We will get back to you as soon as we can.